Another heart-shaped strainer is depicted in Léon-Paul van Geenen, 'De tijdloze schoonheid van Deltsch Wit', Hoorn 2013, p. 200, ill. 23.07. The heart-shaped strainer stands on tripod feet and has a raised rim that is applied with a handle. The interior is modelled with holes. 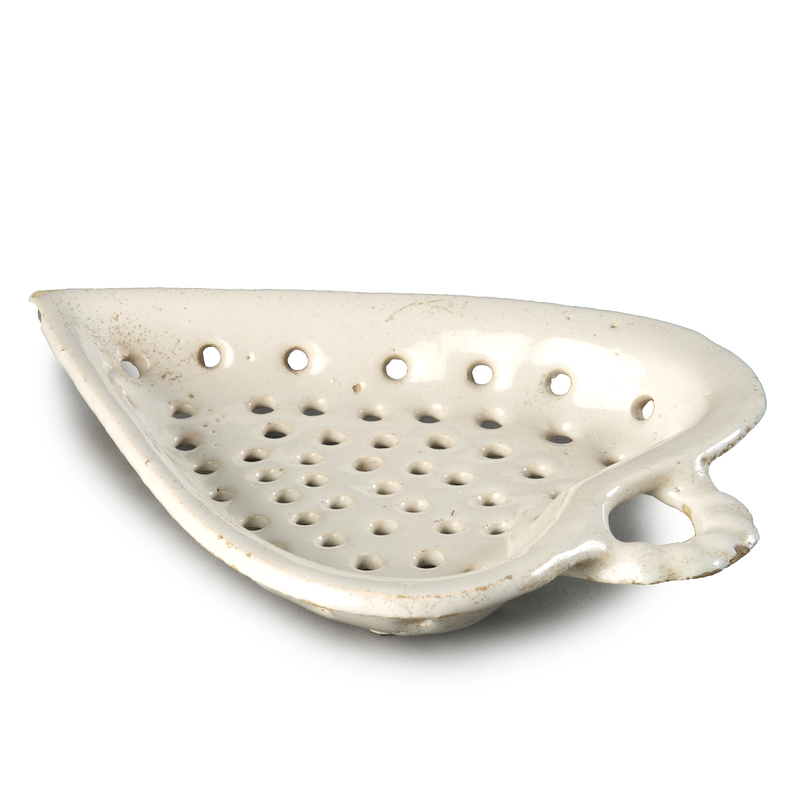 This strainer was used to wash and serve red fruits, such as berries. Various types of white-glazed strainers survived: not only the tripod circular ones, but also also heart-, star- and clover-shaped ones. 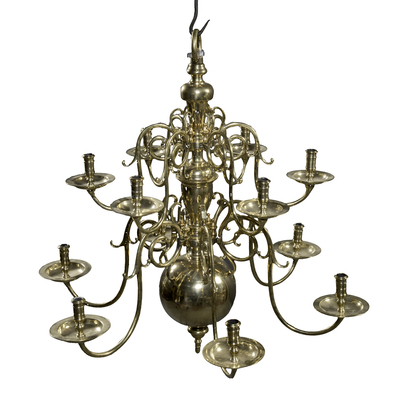 Possibly these strainers had a decorative function besides their obvious practical use. 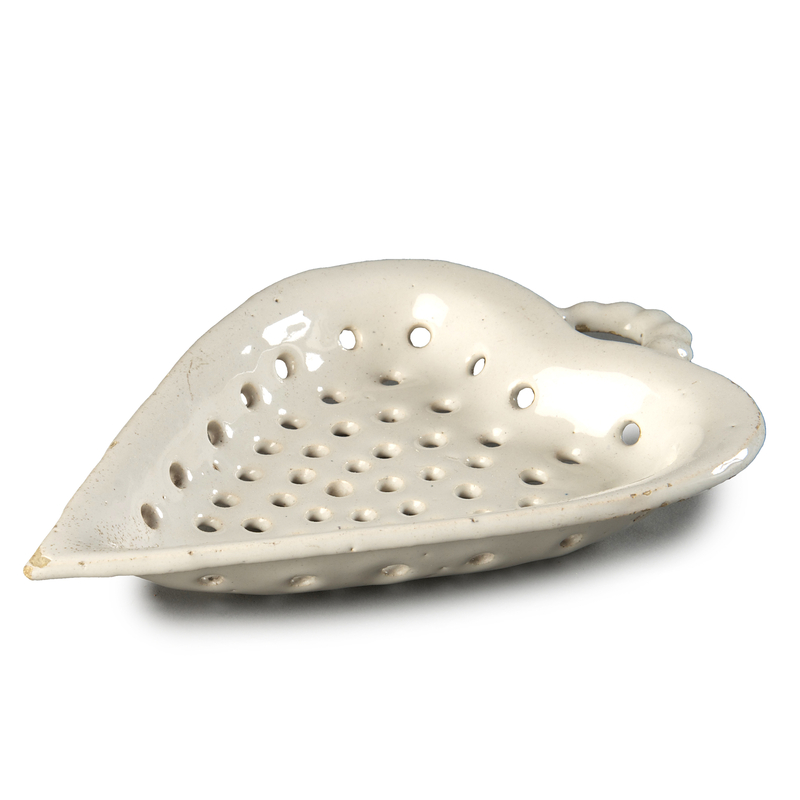 The handle on this beautiful heart-shaped strainer suggest that it could be hung from a hook.